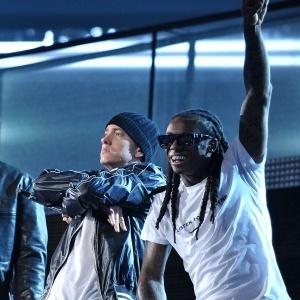 It is reported that on December 1st, rappers Lil Wayne and Eminem will join forces once again in a concert. The concert will be a one night only event in Australia. The set list is expected to be a greatest hits compilation of sorts by Slim Shady. Lil Wayne, who much like Eminem has dropped drugs and firearm possession recently, is going to make the trip with Eminem overseas to join him on stage. The two only have a few songs that they have worked on together, but that won’t stop Weezy F Baby from going to Australia to help support his friend. The announcement of the two working together makes the December 1st concert arguably the most anticipated of the year.